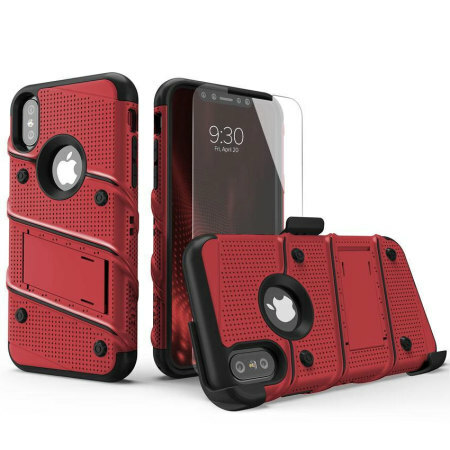 Equip your Apple iPhone X with military grade protection and superb functionality with the ultra-rugged Bolt case in red / black from Zizo. 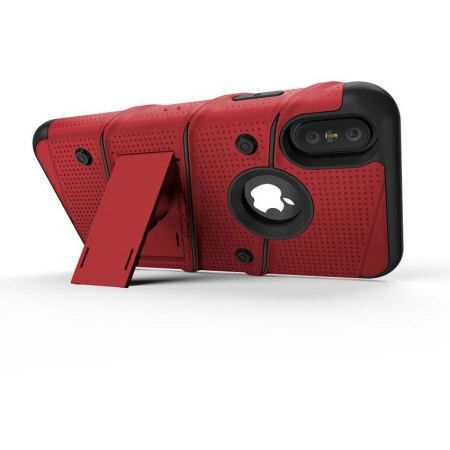 Coming complete with a handy belt clip and integrated kickstand. 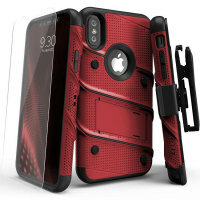 Featuring a robust multi-layered design, the Bolt Series from Zizo provides extreme protection for your Apple iPhone X. 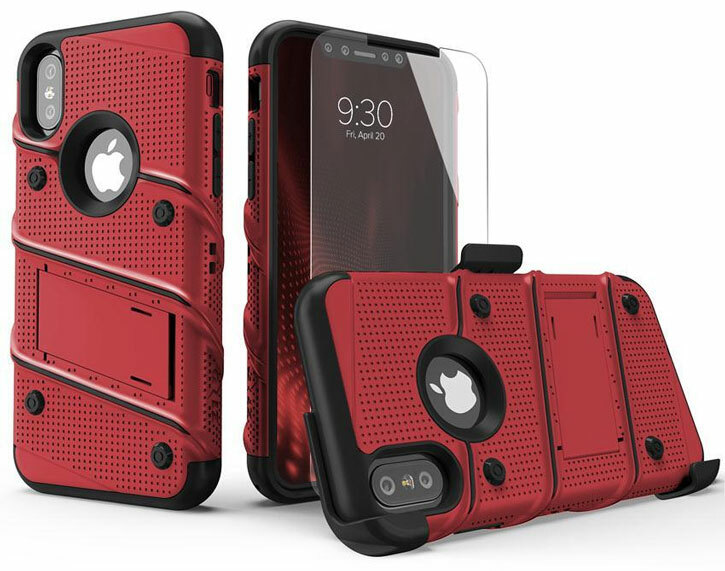 This hard-wearing tough case safe-guards your iPhone X against whatever life can throw at, keeping it secure at all times even in the most extreme of conditions. Coming complete with a high-definition premium glass screen protector, the Bolt series offers complete all round protection for your device. 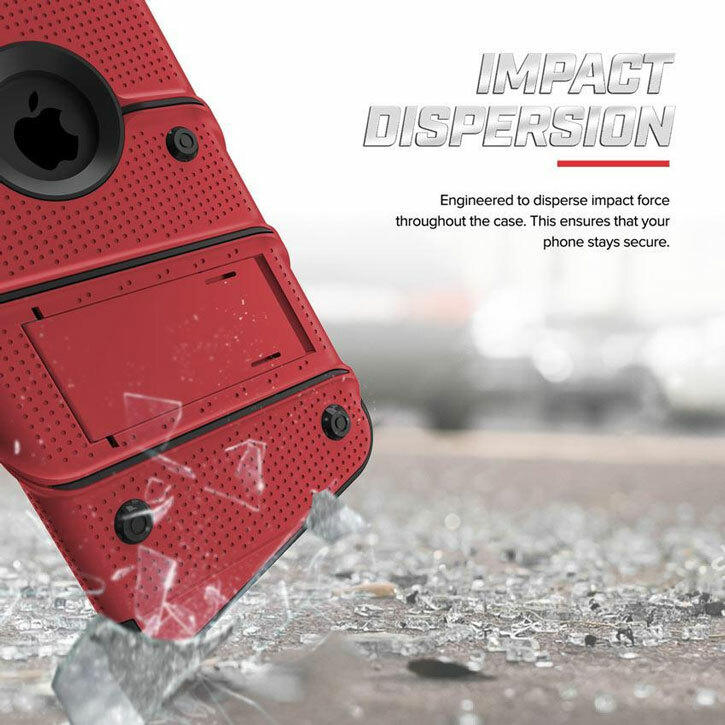 This 9H rated tempered glass screen protector ensures that your iPhone X's screen stays in pristine condition, protecting it from scratches, scrapes and cracks that can occur on at anytime. 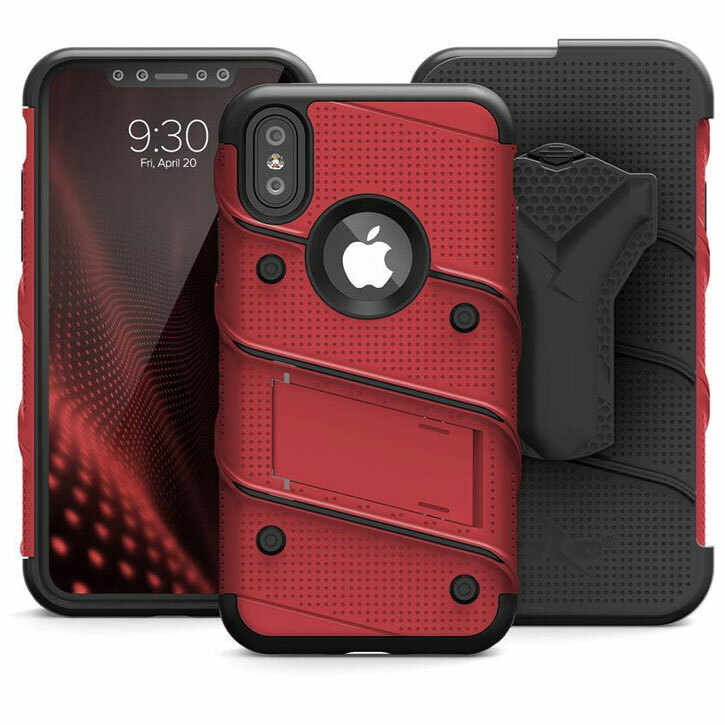 The sleek military styling and slim construction of the Bolt Series case combines to create a cover that perfectly compliments the iPhone X's stunning design. 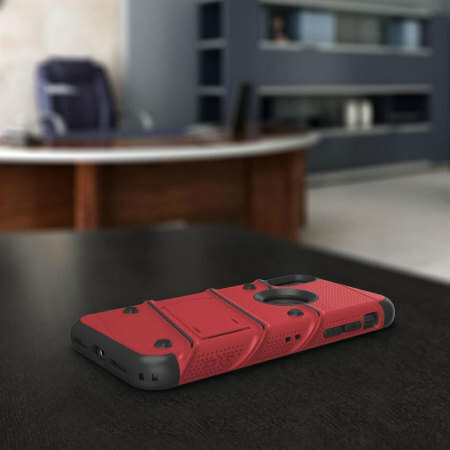 With it's dual material design, perforated back panel and exposed screws the Bolt Series really does look the part as well as acting it too. 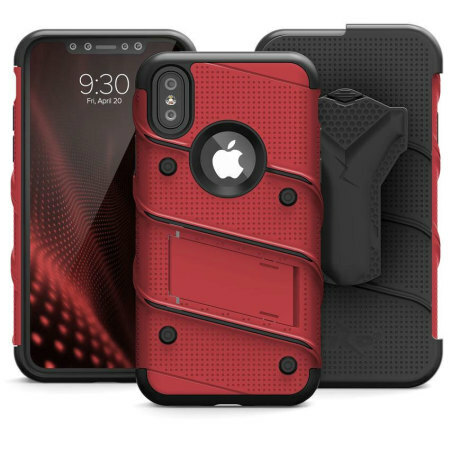 With full access to all of the Apple iPhone X's ports and features, the Bolt Series Tough Case allows you to use your phone as you would normally, but with the added peace of mind that this highly protective case.